I haven’t been overly impressed with the vegetables section of “The Art of Good Cooking.” In my opinion, this is the most dated part of the book where it truly shows it’s age. Too much olive oil or butter, often unappetizing soft veggies, more frozen veggies than fresh, and what we would normally try to make clean and simple today, is loaded down with fatty ingredients like mayo or bacon fat. I completely understand why this section is the way it is. No one in the 1960’s was eating kale salads or “super greens.” Like most of her cooking, which was often influenced by friend and mentor, James Beard, my grandmother’s recipes were based on classic French techniques. This is not to say that this section can’t be modernized and updated like the others. It’s just a little more challenging. This is a very simple recipe from the vegetables section. Per my research on Catalan cuisine, my changes and additions may make it less authentic, as this seems to historically refer to the northeast region of Spain and it’s Mediterranean style cooking (such as the olives and capers I left out). However, it’s quick and the reduced olive oil (1/4 cup to 2 tablespoons) as well as the addition of goat cheese and tomatoes, makes it colorful and healthy. Place green beans in heavy saucepan. Add olive oil, onion, garlic, green pepper, snap peas, and wine. 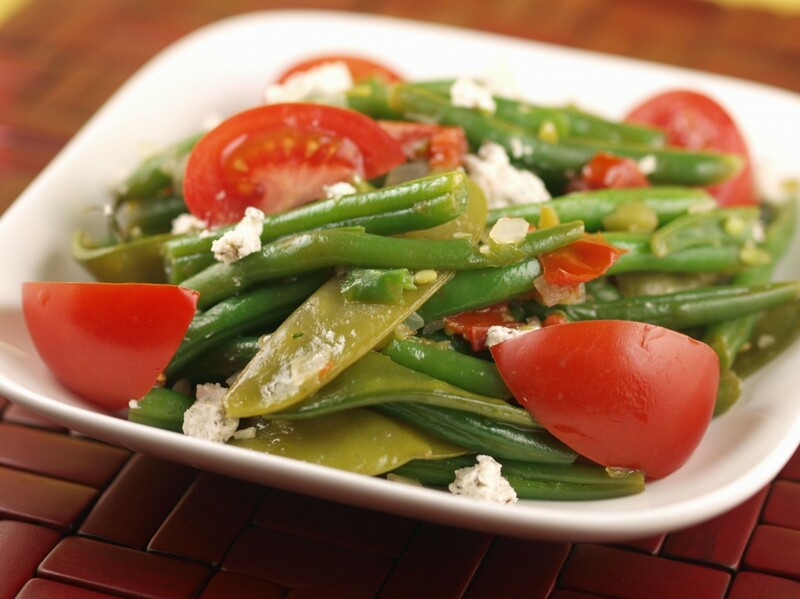 Season, cover tightly, and cook over medium heat until green beans are tender and very little liquid is left in the pan. Check seasoning and add parsley. Serve with your choice of garnish: goat cheese, tomato quarters, olives, and/or capers. Peeling the tomato before chopping is optional but if you don’t, you may end up with pieces of the skin throughout the dish (as you might see in some of these photos). I personally don’t mind this but it can be avoided by quickly blanching the tomatoes in boiling water and peeling the skin off. 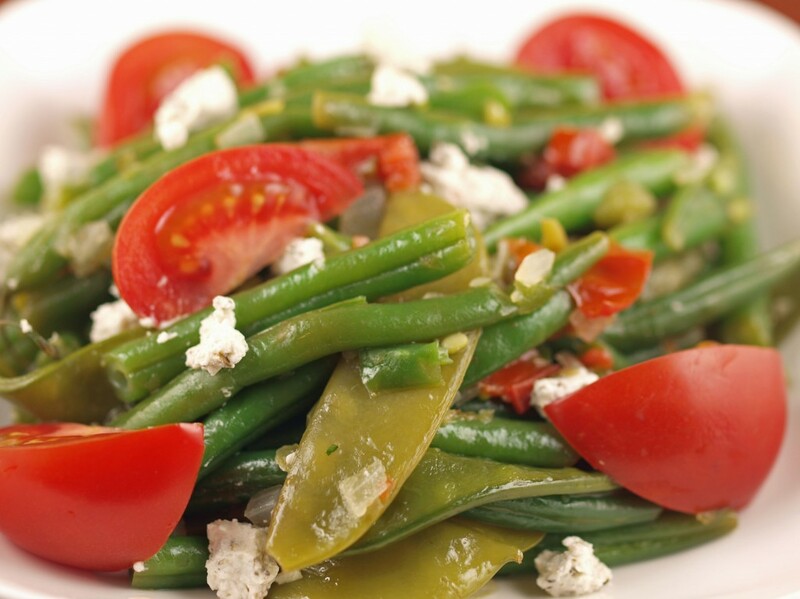 The snap peas may cook faster than the green beans. To avoid, add them after the green bean mixture has been cooking a few minutes on medium.